﻿ Do Possums attack cats, dogs or other pets? Do Possums attack cats, dogs or other pets? Possums are referred to as small to medium size marsupial species that are native to some native Australian cities, they usually measure around 16cm or less, and there are about 70 small or medium size species of the animals all around the world. Possums can be aggressive in nature, the bush-tail possum for instance are agricultural pests that can feed on several crops, thus they are regarded as one of the greatest and most active threats to the ecosystem, especially in Australia, New Zealand and some other neighboring countries. Though not everything about Possum seem bad, they have been raised by some traditional cottage industries for their skin fur, which can be used for making shoes, clothing and other fashion accessories. Possums are known to spread bovine tuberculosis to other animals and humans, and when you often feed your pets outdoor, they may become susceptible to this type of tuberculosis, especially when Possums move near them or eat from their food. Possums do not attack other pets normally; they only do so when they come in contact with the animals. Possums cannot attack dogs and cats because of their sizes, however, Possums have been found to attack smaller rats, birds, and insects. Possums have been found to be responsible for more than 50% of tuberculosis and some other infectious diseases in local cattle herds, especially those raised in native regions and New Zealand. Read about Ways to Kill an Opossum in the Yard. Trapping and ground baiting seem to be the most effective way of controlling Possums, the animals normally do not become aggressive against pets until they become carrier of the Tuberculosis disease. Terminally ill Possums may succumb to the effect of Tuberculosis disease in their system and that often makes them become more erratic in their behaviour. Possums often become more active during the day time when they move out in search of food as well as isolated places to keep their bodies warm. One of the consequences of the movement of Possums is that they may wonder into homes where pets are kept outdoors , thus creating a possible contact that can lead to the attack of such animals. While aggressive dogs can subdue the attack of Possums, cats on the other hand are more susceptible to Possums attacks because of their gentle nature. Trapping and baiting works perfectly well in the control of the population of Possums, however, efforts must be made to ensure that there are no contacts with the animals because their bites can transmit diseases. Learn Humane Ways to Kill an Opossum in a Cage . Go back to the How to get rid of opossums home page. 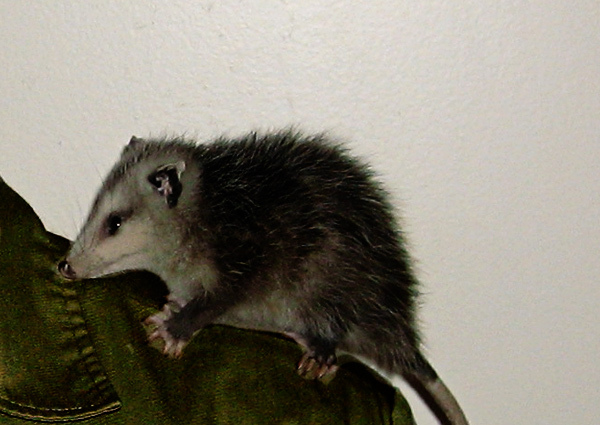 If you need opossums help, click my Nationwide list of opossums removal experts for a pro near you.